Today,I went to Liiva after 3 days. 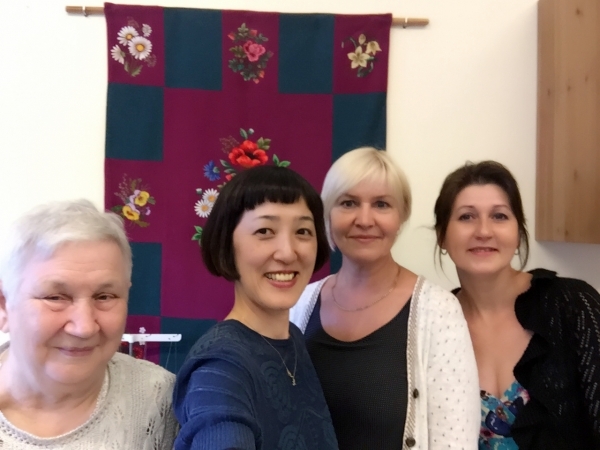 At 10 o'clock in the morning,we met with Tiina and Asta in the lesson room of Oad ja Eed. A total of 5 people went to Marika 's house of lesson mate. Her house is on the south side of Muhu island. Muhu island is a rather wide island and I have been to the east and west only until now but never been to the north and the south. They will show me the south side for me. On my way to Marika 's house, we stoped by Tiina' s new house. The new residence that she will live in a house which renovated an old house, it was very very nice. After seeing Tiina's new house, we went to Marika's house. Marika and Shepherd dog greeted us, and suddenly the dog was punched to my chest. Dogs understand foreigners too, do not they? 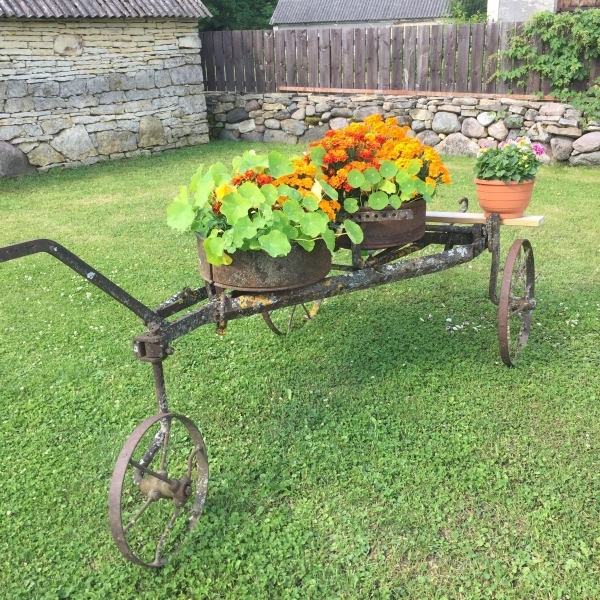 Marika's house is growing a lot of flowers and vegetables. Every house has basic self-sufficiency of vegetables and fruits. Everyone surely grows tomatoes, cucumbers and strawberries. After watching the garden, we went to inside the house. In every room curtains of crocheted lace are at the window. It is a flower pattern with a grid. Muhu embroidery cushion on the sofa. A house full of embroidery and knitting, various handmade. I always make things at work and rarely not make for me. From now on I want to make something for myself. After having seen the inside of the house, we drank coffee at the dining room. Let's say goodbye to Marika and they guided me around the southern and eastern side of Muhu island then we went to Liiva again. Today is also the last lesson of Liiva,I got a present from everyone of Oad ja Eed. I began to feel tears without thinking. I also promised to come next year,we took a memorial photo with everyone. Thanks to everyone of Oad ja Eed, I really enjoyed it everyday, and the road for 1 hour 40 minutes round trip was not at all a pain. And after that,it is the last lesson with Asta.